More QR stuff – how to! There was a question about this site following this post – thanks Atley for your comment. So I have posted these screen shots with some additional instructions. Once you’re on the site you need to first of all inset the URL that you want people to go to – ie. your blog address, facebook page which can be found in the URL address bar of that site. 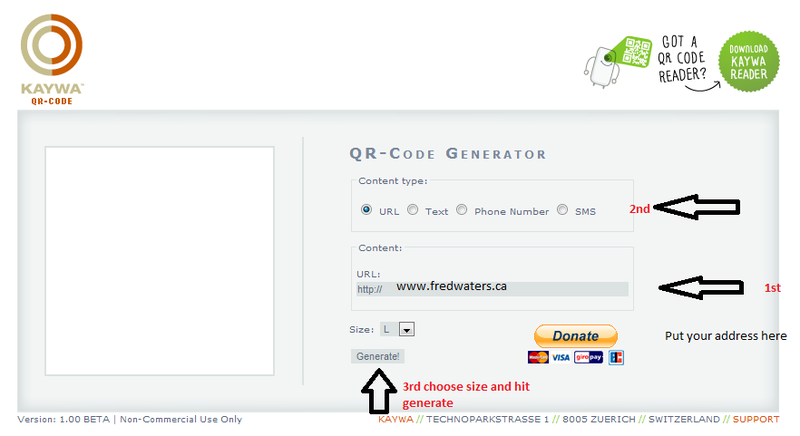 In my case it was http://www.fredwaters.ca which you see I’ve inserted into the second image below. Secondly, you’ll need to determine the kind of information you want to generate. You’ll see the options: URL, text, phone, SMS – any of these contact points can be used. So if you’re wanting someone to be able scan your QR code and get your phone number you can do that too! Third, how large do you want your QR code? I chose large – but then realized “wow that’s kind of big! So though this post has the large one, I’ve changed the one in my side bar to medium. 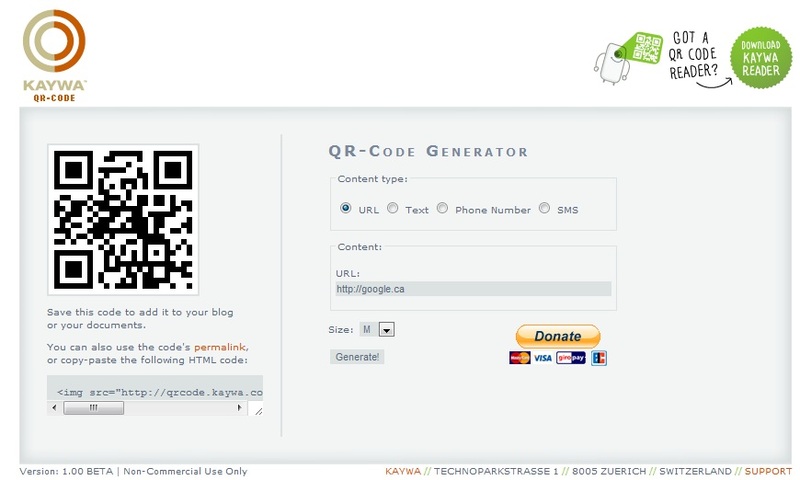 Finally – you’ll want to copy the code that is generated for your QR code – which sites just below the instructions. Once you have that, you’re able to paste it into the appropriate place on your blog or wherever you’re going to use it. 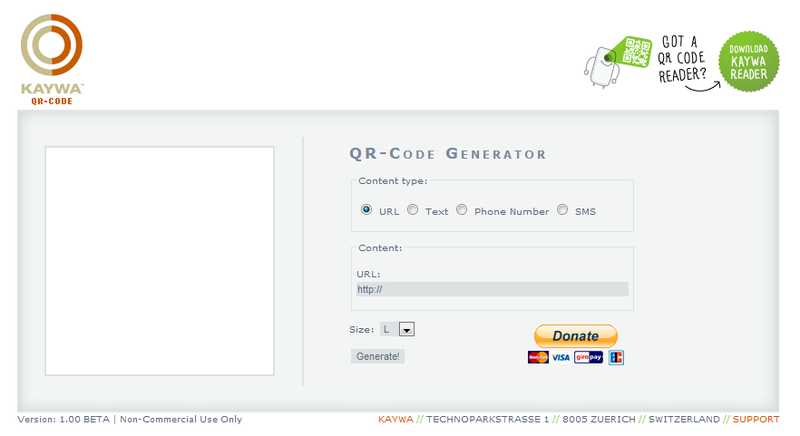 Just for the record, I’m not endorsing this QR generating site – I simply found it, used it, liked it. 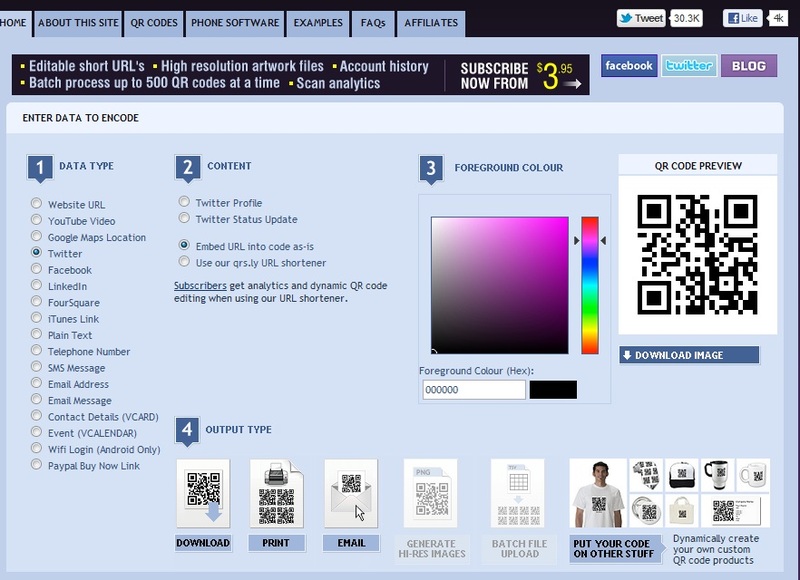 If you want to create a multitude of QR codes, in different colours, even in print I highly recommend thsi site! This one is very good and the layout, while filled with more information is well organized and is very clear in the steps that need to take place.